Charles Lister’s encyclopedic chronology, The Syrian Jihad: Al-Qaeda, the Islamic State and the Evolution of an Insurgency, traces the precursors to the 2011-2012 Arab Spring protests in Syria, and their evolution into a civil conflict that has become one of the worst humanitarian crises on the planet. Lister provides a dizzying array of names, places, organizations, and constantly changing alliances, dynamics, and relationships. He follows the trajectory of failures by both domestic and international players to end the conflict – many of which have inadvertently fueled the context in which the so-called Islamic State was able to rise to prominence and power. Ultimately, he argues and demonstrates that Syria has become home to the largest, most complex and most powerful group of Sunni jihadist movements in the world, attracting recruits from over 100 countries. The book is divided into four parts. Part One sets the stage for the initial protests of the Syrian Arab Spring, covering the period up until March 2011. Part Two covers the rise of the initial opposition movements between March 2011 and March 2013, focusing particularly on the organization Jabhat al-Nusra. Part Three begins with the Islamic State’s entry into and escalation of the conflict from March 2013 through April 2014. Part Four opens with the Islamic State’s declaration of the caliphate in June 2014 and runs through its impact until June 2015, concluding at a moment chosen by chronology rather than a definitive turning point in the conflict – though the conflict had spiraled out of control by then. No longer a civil war between different factions of Syrians, the conflict as of June 2015 took on increasingly international consequences, involving multiple nations and their support for different parties and factions. It had also sparked a proliferation of Islamic State-inspired “lone wolf” attacks in Western countries and a refugee crisis of both internally and externally displaced persons affecting 40% of the Syrian population. Lister’s tale begins with a discussion of the transfer of power from Hafez al-Assad to his son Bashar al-Assad in 2000. He credits Bashar for attempting some liberalization of the economy in his early days, while tempering that credit with the observation that such liberalization only served the wealthy. While the GDP rose from $19.3 billion in 2000 to $59.15 billion by 2006, the gap between the rich and poor widened, salaries stagnated, the import of cheap foreign manufactured goods damaged domestic production, fuel and water prices rose, and access to water became more limited. The situation was further exacerbated by major droughts from 2006 to 2010. As the government failed to provide adequate resources for those afflicted by the droughts, religious organizations began to step in, particularly as cities were flooded with rural laborers seeking work. Added to this complex cocktail were a series of long-term, pre-existing catalysts, including socio-economic challenges, the qualitative demise of the Syrian Arab Army, endemic government-facilitated corruption, and a strained relationship between the Alawite state and the Sunni majority of the population. Although economic issues were at the forefront of the original protests, sectarian tensions were already present and easily and quickly entered into the mix, becoming increasingly ingrained over the course of the conflict. The protests began as peaceful popular demands by people of all ages for political freedom, self-representation, and anti-corruption. However, they became more intense after the March 6, 2011, arrest of 15 schoolboys between the ages of 10 and 15 for spray painting the slogan of the Arab Spring on a building. The arrests were followed by rumors of torture and beatings. Further, the children’s families were denied access to them. By March 18, protests demanding the schoolboys’ release had become so intense that local security forces opened fire on protesters, killing four and giving birth to the revolution. When the boys were finally released, multiple signs of torture on their bodies added to public fury. Assad responded with harsh suppression via a security campaign. Rather than quashing the protests, the regime response expanded and consolidated opposition among the Sunni majority. Lister notes that jihadist organizations had been present in Syria prior to the Arab Spring protests. Bashar al-Assad had flirted with jihadist organizations at the outset of his rule, hoping to channel their energies against enemies abroad, rather than at home. However, when their relationship turned sour in 2009, al-Assad began cracking down on networks inside Syria. Thus, by the time of the 2011 protests, jihadist organizations already had a complicated relationship with the regime. Identifying an opportunity in the protests, they quickly began to mobilize and communicate. In the early stages, the core focus was on Syrian political objectives. The October 2011 formation of Jabhat al-Nusra was designed to maintain that Syrian focus, although it received support from Al-Qaeda financiers in the Gulf and 50% of the Islamic State of Iraq’s (ISI) budget, in addition to financial support from the governments of Kuwait and Qatar. That strong support and financial base permitted Jabhat al-Nusra to declare war on the al-Assad regime and its own objective of establishing Islamic law across Greater Syria. It also stood in marked contrast to the other main opposition group, the Free Officers Movement (FSA), which was plagued by insufficient funding and poor armament from the outset, despite having trained members of the military and police among its members. Although such membership should have offered a strategic advantage, Lister argues that it did not, in part because the military and police are trained to follow certain rules, protocols, and conventions not observed by the ISI and other jihadist organizations. Finally, even though Western governments preferred the relative moderation of the FSA, they did not offer sufficient financial or military support to enable the FSA to compete effectively with the jihadists. Lister argues that the jihadists were initially unpopular among most Syrians. Up until early 2012, the Syrian population appeared to be attached to populist nationalist ideals of freedom and human rights, rather than the violence projected by the jihadists. Lister contends that a shift occurred not because of the sudden appeal of jihadist ideology per se, but because of the brutality of the regime’s crackdown on the population, which brought abject destruction and fueled social desperation and frustration. A rising number of civilian massacres, including those of women and children, and stories of mass rapes and indiscriminate murders by pro-regime militias in Sunni neighborhoods further stoked fears – and sectarian tensions. In Lister’s account, the initially peaceful protest movement gave way to civil war by the first anniversary of the revolution, in response to the originary violence of the Assad regime. Further, other than money pouring in primarily from Kuwait (but also from Qatar and Saudi Arabia) to support specific rebel groups, Syrians were largely left to fend for themselves against the regime. Lister charges the international community with “catastrophic failure” (72) to resolve the escalating violence, opening the door wide to the only parties presenting an effective plan in providing security to Sunni civilians – the jihadists. By mid-2012, Syria had devolved into a full-scale civil war; jihadists from many countries were beginning to pour through its borders. In 2012, Lister asserts that the most important jihadist organization was Jabhat al-Nusra. With a reputation for honesty, lack of corruption, and concern for civilians, as well as a steady budget and food distribution network, Jabhat al-Nusra sustained much of the civilian population through the winter of 2012-2013, providing bread and other needed services. The combination of social services and humanitarian relief with the provision of security and justice through a functional system of Sharia courts earned the organization both popularity and loyalty from the Syrian population. Though an internally effective institution with a clear and efficient command and communication structure and perceived Islamic legitimacy, it nevertheless also proved adept at cooperating and coordinating with other anti-regime groups in attacks on government targets. That status was disrupted with the March 2013 arrival of ISI. Jabhat al-Nusra had been associated with Al-Qaeda from the outset, but had worked to keep that affiliation quiet until it was well-established and trusted within Syria. ISI’s surprise April 2013 announcement that Jabhat al-Nusra was a wing of ISI was an unwelcome development that rapidly led to tension. Both organizations were allied to Al-Qaeda at that point, but ISI was becoming increasingly independent to the point of challenging Al-Qaeda’s leadership. The conflict split Jabhat al-Nusra into two factions – one siding with ISI and the other with Al-Qaeda, damaging its leadership and coherence at a vulnerable moment as the government stepped up its “sectarian cleansing” (131). Although Al-Qaeda leader Ayman al-Zawahiri tried to mediate between ISI and Jabhat al-Nusra, his ruling in favor of Jabhat al-Nusra resulted in ISI declaring the Islamic State and challenging al-Zawahiri, claiming his ruling contained legal and methodological errors. The bickering between jihadist organizations turned their attention and resources against each other, rather than against the al-Assad regime. The infighting between jihadist organizations meant that only the most powerful – and brutal – would survive. The then-ISI came out on top because of its willingness to engage any and all strategies in its quest to establish an Islamic State on geographic territory – a feat never achieved by Al-Qaeda, despite repeated calls to do so. At the same time, the Syrian regime played directly into ISI’s ideology; brutal violence by the Alawite al-Assad regime and its Shia supporters, Iran and Hizbullah, against the civilian Sunni population(including chemical weapons attacks beginning in December 2012) demonstrated a clear need for defense of Sunnis that only those with strong military and guerrilla experience could provide, particularly as the international community continually failed to act decisively. Lister attributes the ultimate success of specific jihadists to the steady arrival of finances, weapons, and fighters from abroad, the internationalization of the crisis, the steady proliferation and fragmentation of other opposition groups, and the strong religious dimension that the conflict took on in light of the brutality of the al-Assad regime in targeting Sunnis, particularly after the August 2013 sarin gas attack outside Damascus that killed 1,400 people. The narrative of Sunni victimhood at the hands of the Shia resonated powerfully in a civilian population facing repeated massacres and violence at the hands of Shia militias, both domestic and foreign. Lister charges the United States with a serious blunder at this point for failing to follow up on its declaration that use of chemical weapons marked a “red line” in the conflict. The threatened American-led airstrikes never materialized. Jihadist defense of civilians did, however. The period from July through December 2013 saw an acceleration of foreign fighters into Syria through Turkey and Lebanon, albeit for opposing sides. IS proved the more formidable, armed with superior military capabilities and unsurpassed wealth. It also borrowed a move from Jabhat al-Nusra’s playbook in establishing civil, religious and humanitarian activities as part of its operational strategy. Lister contends that the sheer desperation of the situation permitted the rise to power of the Islamic State, as 2.3 million Syrians fled the country as refugees with another 6.5 million living as internally displaced persons. By the end of 2013, more than 125,000 had been killed. Despite its initial success and splashy social media campaigns, IS ultimately shot itself in the foot with its sheer brutality and singular pursuit of the Islamic State, no matter the cost. Unlike Jabhat al-Nusra, IS was not wed to Syrian objectives and goals. In early 2014, disowned by Al-Qaeda and with Jabhat al-Nusra fighting against it, IS became ever more brutal, declaring the insurgency to be filled with apostates and insisting that insurgency groups would have to choose between IS and Jabhat al-Nusra. Having lost the most prominent jihadist ideologues to Jabhat al-Nusra, IS declared the caliphate in June 2014, issuing a direct challenge to Al-Qaeda. The declaration presented the caliphate as an opportunity to escape reliance on the West in favor of recovering dignity, fighting oppression, and taking an active stance, rather than remaining passive victims. Other jihadist organizations rejected the caliphate outright. Lister suggests that, at many levels, IS and al-Assad used each other to weaken and delegitimize other rivals before resuming their own conflict. Having divided and conquered the opposition, they became free to return to fighting each other. IS’s violence became legendary following the declaration of the caliphate, which involved mass executions of captured Iraqi and Syrian soldiers and the accumulation of recruits through fear. In Lister’s assessment, “IS was not a jihadist organization that aimed to achieve worldwide support or acceptance. Instead, its actions sought only to sow chaos, hatred and division, which itself would then foster the conditions in which it can thrive” (257). When, in August 2014, the United States sought to seize IS territory through airstrikes, IS conducted a series of executions of Western hostages in highly publicized videos. Both Al-Qaeda and Jabhat al-Nusra tried unsuccessfully to negotiate the release of some of the hostages and sharply condemned many of IS’s operations. Undeterred, IS called for an expansion of executions, encouraging “lone wolf” strikes in the West in late 2014. Yet, by late 2014, local populations had begun to turn against IS and its brutal methods at the same time that foreign recruits began to find them more attractive. Throughout, many Syrians remained loyal to Jabhat al-Nusra because of its consistently valuable role in fighting the regime. Combined with extensive airstrikes by Jordan and later by the US-led anti-IS coalition and several Kurdish groups, Jabhat al-Nusra grew in strength and support at the same time that IS began to lose territory. Yet the central conflict remained and threatened to become even more complex as external actors entered and exited the scene in favor of conflict in other places (e.g. Yemen for Saudi Arabia), or because of objections to coalition partners. For instance, Turkey played an expanded role, but so did some Kurdish organizations that Turkey considered to be terrorist organizations. In response, Turkey refused to work with them and threatened to withdraw its support if Kurds were trained or received arms. By the book’s conclusion in August 2015, not only was IS’s success beginning to slip away, but the conflict had become so internationalized and factionalized that any semblance of resolution appeared impossible. Lister depicts Western insistence on addressing Syria only through counter-terrorism as a failure to acknowledge the underlying political failures and instability, social fissures, expansion of sectarian tensions, and dire socio-political conditions that fueled the war. He argues that unstable and repressive governance gave rise to forms of conflict, resentment and extremism that jihadists exploited (385). The end result has been the deaths of over 240,000 Syrians, including nearly 12,000 children, injury to 2 million people, and displacement of over half of the population. He also charges that the time has come to admit that the moderates have failed, as did their external supporters who did not provide enough to keep moderate factions together. As of late 2015, there were more than 1,500 operationally distinct groups across Syria, making consensus on resolution of the conflict even more difficult to achieve. He further lambasts the international community with failure to protect civilians against repression in accordance with the global principle of “Responsibility to Protect” and to enforce international law on war crimes and the use of prohibited weapons. In the process, therefore, in his eyes, the international community gave legitimacy to the very Sunni jihadist militants they label as terrorists. For Sunni civilians left to the mercy of Shia militias and a government willing to use chemical weapons against them, the only conclusion to draw is that either the world is unconcerned about the suffering of Sunni Muslims in Syria and Iraq, or it seeks to assist or indirectly facilitate the suppression of Sunni Islam (390). Lister is to be credited for sorting through voluminous details and an incredibly complex series of changing dynamics, relationships, organizations and personalities to put together the most coherent chronology to date of events in Syria since the Arab Spring. He also takes on transregional and transnational perspectives, observing the transfer of people from one location to another so that no location or incident can be viewed through that sole lens. Part of the complexity of the conflict is its global reach, appeal, and repercussions. Another major contribution of the book is Lister’s documentation of infighting between different jihadist organizations, insisting that “jihadism” be viewed as a spectrum, rather than a monolithic phenomenon, with varying attitudes toward violence, retribution, tactics, strategies, long-term goals and even definitions of Islamic legitimacy. Readers, particularly Americans, may find it shocking to learn that Al-Qaeda has learned to operate as a rational actor, displaying relative pragmatism and often taking a more “moderate” stance than IS. 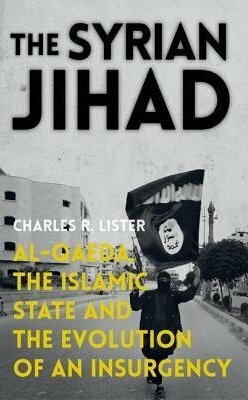 In Lister’s work, we discover an Al-Qaeda that declines to engage in harsh punishments or implement Sharia too quickly out of fear of alienating the population, speaks out in opposition to harming or killing civilians, and takes a long-term view. IS, by contrast, is portrayed as merciless and ruthless, focused on short-term, rapid engagement in spectacular acts of violence and barbarity, yet ultimately more successful in claiming territory and military victory. Yet IS suffers from one major flaw in Lister’s eyes – it can only be stable if it is constantly expanding. In order for fighting and martyrdom to have ongoing appeal, the potential for fighting and martyrdom must continually exist. Cooperation with other groups and coalition-building can thus be only temporary activities, not end goals or long-term or permanent strategies. The only possible relationship it sees with other groups is one of dominance. IS cannot be an end state because the end of conflict would mark the end of the State. Lister also connects relative levels of support from the civilian population to what represented the biggest threat at any given moment, rather than ideological preferences, save for Jabhat al-Nusra, which maintained its focus on Syrian objectives and goals. While in terrorism and security circles, black and white portrayals have tended to carry the day, Lister insists upon and maintains nuance between organizations throughout, highlighting that violence engaged is often in direct response to violence experienced. One has to wonder whether IS would have engaged at the level of brutality that has made it infamous had it not been faced with an equally brutal Syrian regime using chemical weapons against its own people. Despite Lister’s remarkable achievements, there were some shortcomings to the book, particularly its inconsistent attention to analysis, rather than reporting. Chapters typically focused on what happened, who was where and who belonged to what organization, leaving analysis to the end of the chapter. At times, there is such a mass of details that the analysis can be challenging to find. Development of the Islamic State in Iraq from Abu Musab al-Zarqawi through IS’s move into Syria was not presented until 2/3 of the way into the book in order to explain the caliphate as the product of 15 years of work. While the coverage is important and comprehensive, the interruption of the otherwise chronological flow was awkward. There were also some missed opportunities to provide historical background, such as the complicated relationship between Turkey and the Kurds, or brief explanations of symbolism, such as a description of the Abbasid Caliphate that IS sought to evoke. There was also little discussion of religious ideology, which has played at least some role in the conflict. While debates between al-Zawahiri and al-Baghdadi are extensively cited, they are not fully analyzed. There is also no discussion of interpretations of Islam in Syria before or during the conflict, other than through the lens of the jihadists. While the stated objective of the book was to focus on Sunni jihadists and their Syrian Salafist allies, not Shia jihadists or the moderate opposition, for the purposes of context, it might have helped to acknowledge Syria’s long history as a seat of Islamic learning, both theological and legal. Given the emphasis on jihadism, it is also striking that there is very little mention of Mustafa Setmariam Nasar, a.k.a. Abu Musad al-Suri, even though Lister notes that Jabhat al-Nusra adopted his strategy (66-7). A native of Aleppo with deep connections to Al-Qaeda dating to its foundation, al-Suri was identified as the likely architect of the 2004 Madrid train bombings and 2005 bombings in Britain and is considered the main strategist of the second generation of Al-Qaeda. It is possible that Lister did not include much discussion because al-Suri is believed to have been in prison in Syria since 2006, thus placing him outside of the main field of action; yet his strategies and ideology remain influential. Lister’s main focus is on politics and economics, which he argues were the most important factors shaping the course of the Syrian war and relevant regional interventions. He does give some attention to the question of “radicalization,” although he misses an opportunity to analyze its emergence in Syrian and Iraqi prisons; he simply mentions it and moves on in favor of discussing what he considers to be a more important issue – that counter-terrorism efforts are doomed to failure because they do not address the underlying contextual circumstances that facilitate “radicalization.” Faced with tremendous violence and senseless death, it should not be surprising that the jihadist message of salvaging past dignity, power, and self-worth resonates with a Sunni audience caught in a vicious and seemingly intractable civil war. Natana J. DeLong-Bas is Assistant Professor of the Practice of Theology and Islamic Civilizations and Societies at Boston College.